Phil Sargent will lead a hands-on class to turn playful and decorative mushrooms. Admittedly an object of little practical use, a cleverly designed family of mushrooms are fun to place around the house and maybe in the garden or patio. They "grow" on you. Turn your flawed scraps into household art and build your spindle turning skills as well. 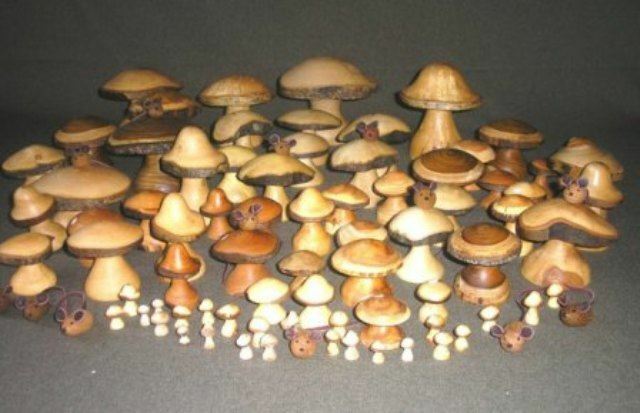 Phil will bring some of his mushrooms and teach how they came out of a blank. Each member will have their own lathe and tools. Blanks will be provided. This is the second of 10 new member classes that are being planned just prior to each of our monthly meetings by Neal Devore.